Emirates is offering a prize of tickets to Dubai to delegates who register for the 2018 Arab-Irish Business Forum in the Mansion House in Dublin on October 3rd which will feature speakers from the Arab states and business leaders from Ireland who are already doing business there. 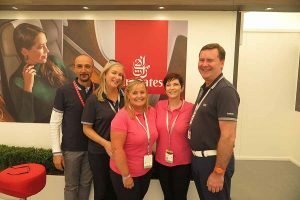 Hundreds of delegates are expected to attend the third year of the event, jointly organised by the Arab-Irish Chamber of Commerce, Bord Bia, Department of Foreign Affairs and Trade, Emirates Airline and Enterprise Ireland. Irish exports to Arab markets were valued at €4.3bn in 2016 and are set to grow year-on-year across industries including food & drink, pharma, fintech, aviation, electronics and many more. An economic report commissioned by the Arab-Irish Chamber of Commerce forecasts that Irish exports to the Arab markets will reach €9bn over the next two decades. There will be an examination of the latest developments affecting the business environment in the Arab states; a discussion on the countries that offer the greatest advantage to Irish businesses; first-hand advice on how to break into these new markets; a look at new, emerging markets such as Morocco, Egypt and Jordan and practical presentations from Irish companies already doing business in the Arab world. Middle East Entrepreneur of the Year, EY Emerging Entrepreneur of the Year, serial entrepreneur and Galway man Paul Kenny, will talk about the many enterprises he has successfully launched, sold and managed. Paul is currently managing director of AYM Commerce, a company specialising in breakthrough digital technologies and online businesses in the MENA region. Paul Kenny will be joined by speakers from organisations such as Nexus Group, Neom, Monojo Biotech, the Transguard Group, Dataflow, Nestbox Egg Company together with senior Irish political figures. 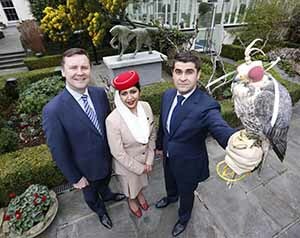 Registration is now open at www.arabirishbusinessforum.ie and delegates will have an opportunity to win tickets to Dubai with Emirates.